The Bernie Wohl Center -- 647 Columbus Avenue @ 91st St.
Are you convinced that you could write a compelling short story if you just had the time? Do you have an essay or novel in a drawer that you want to dust off? Just Write is a three-hour workshop that includes guided writing prompts, the chance to share your work in a supportive and encouraging atmosphere, and the opportunity to develop and expand ongoing works. All levels of fiction and creative non fiction are welcome. Whether you’re just getting started, completing a rough draft, or refining your work, you’ll receive the guidance and support to move to the next level. Joanne Serling is the author of the debut novel, GOOD NEIGHBORS (Twelve/February 2018), a book that Kirkus Review called, “a spicy stew of suburban discontent.” Serling’s fiction has been nominated for a Pushcart Prize and has appeared in New Ohio Review and North American Review. She is a graduate of Cornell University and worked in women’s magazines and public relations before embarking on a career as a novelist. Serling is a member of The New York Writers Workshop and lives in New Jersey with her husband and children where she is at work on her second book. Poems are gateways to the soul. As readers, we are returned to the mystery and beauty of our lives through the poet’s experience, captured in image, music and line. We also find mirrors of our own struggles. As writers, how do we find our way to the richness of language and experiences from which poems come? Judith Hannan’s recent book is The Write Prescription: Telling Your Story to Live with and Beyond Illness, which grew out of her experience writing Motherhood Exaggerated, her chronicle of transformation while caring for a child with cancer. Her essays have appeared in such publications as Woman’s Day, Narratively, The Forward, Health & Spirituality, Brevity, Cognoscenti, The Martha’s Vineyard Gazette, among others. She leads workshops for homeless mothers, young women in the criminal justice system, as well as those affected by physical or mental illness. She is a volunteer writing mentor in Memorial Sloan-Kettering Cancer Center’s Visible Ink program and is an interventionist in the hospital’s research study to evaluate the healing power of writing. Ms. Hannan is a recipient of a 2015 Humanism-in-Medicine award from the Arnold P. Gold Foundation. 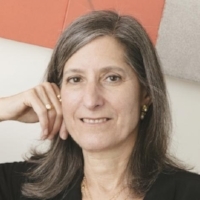 She is a member of the New York Writers Workshop and serves on the boards of the Children’s Museum of Manhattan and the Mount Sinai Adolescent Health Center. You don’t need to write about something in order to write a poem. As the French poet Stéphane Mallarmé once said, poems are written with words, not ideas. Taking its title from a Talking Heads song, my workshop uses Mallarmé’s insight as its guiding principle, so the participant can embark on a productive literary voyage distinct from that of prose. Here we emphasize lyricism and the spirit of play, and an openness to technique distinct from narrative. (Think jazz.) Workshoppers will, for example, explore the sound of a word or phrase, and what this might suggest, without regard to meaning. Meaning will be arrived at rather than be predetermined. We will create non-sense that actually makes sense! At the outset I shall provide a few examples of lyrical poems. Participants will then do writing exercises. We will conclude with each workshopper crafting a short poem based on these exercises. This will be a workshop that will both be fun and instructive. Register here for Stop Making Sense! 0This six-session workshop will help the memoir writer find and shape a personal narrative whether a short essay or a book-length memoir. Weekly lectures and in-class exercises will illuminate the elements of storytelling used to write a memoir: structure, characterization, plot, description, dialogue, point-of-view, style, voice, and revision. Works developed in my classes have been published as books and essays with honors in The Best American Essays and elsewhere. I believe in a warm, supportive atmosphere where even the most unformed idea can turn into a work of substance and art. This two-part writing workshop will help students decide on the best genre to tell a particular story – fiction or personal essay. In-class discussions on the importance of the first sentence, voice, storytelling, and the thin line between fiction and creative nonfiction will help writers of all levels produce powerful and publishable work. The second meeting will focus entirely on the work created and submitted. Feedback will be given in a safe and supportive environment. Register here for What is The Best Way to Tell My Story? Joanna Laufer is the author of Inspired (Doubleday) and the co-creator of the best-selling Inspired classical music series on RCA. Her nonfiction has appeared in Child Magazine, Dance Spirit, Dance Teacher, Bottom Line, including essays recently published in SheKnows, Brain, Child Magazine as well as in anthologies. Her fiction has appeared in numerous literary journals. Joanna is the creator and executive producer of the television series Dancers: Just Plain Dancing. She works as a freelance manuscript editor and writing coach.